Win The Bourne Collection on Blu-Ray + 10 facts you might not know about the movies! Please note: this competition is now CLOSED. Thank you to everyone who entered, and congratulations to our 10 winners. Jason Bourne hits cinemas soon and it looks incredible. Everyone’s favourite amnesiac assassin returns after years of silence, facing an unstable world and a brand new program to hunt him down . The poor guy just can’t catch a break. To celebrate the release of Bourne’s latest adventure, we’re giving away 10 The Bourne Collection Blu-Ray Boxsets*. This amazing set includes all 4 Bourne movies: Identity, Supremacy, Ultimatum and Legacy. To enter, simply enter your email address into the widget below and subscribe to our mailing list to receive the latest offers, competitions and content to your inbox! If you’d like an even better chance of winning, follow the instructions to Like us on Facebook or Follow us on Twitter and Instagram. Here are are a few things you may not know about the series. Robert Ludlum, the author of The Bourne Identity, named his hero after a preacher who suffered the first recorded case of dissociative fugue way back in 1887. The story of Ansel Bourne isn’t quite as dramatic or tense as his namesake though. Bourne, a Rhode Island resident, woke up one day and completely forgot who he was. Instead of freaking out, he rechristened himself Brown and moved to Pennsylvania. Three months later, Bourne, who had since opened a store, awoke and remembered who he was… but completely forgot about renaming himself and moving state. That must have been an interesting morning! It’s hard to imagine anyone but Matt Damon in the role of Bourne, but quite a few other actors were considered first. Brad Pitt, at that point a huge star and ladies favourite, was offered the role but turned it down to film Spy Game with Robert Redford instead. Other actors in the running included Russell Crowe, a pre-McConnaisance Matthew McConaughey and Sylvester Stallone. Eventually, the casting team took a gamble on Damon (then best known for Good Will Hunting and The Talented Mr Ripley) and the rest is history. Damon’s preparation for the Bourne movies involved a lot more than hitting the gym and beefing up. He also spent six months learning martial arts, mastering a potent mix of Filipino Kali and Jeet Kune Do (created by Bruce Lee), another six months in boxing training and hundreds of hours in gun training. Basically, Matt Damon is hard as nails. Tim Griffin, who plays CIA interrogator John Nevins in The Bourne Supremacy, found this out the hard way when Damon accidentally knocked him out for real during a scene. Although they share the same concepts, themes and characters, Robert Ludlum’s Bourne novels and the films share very little in common. In fact, screenwriter Tony Gilroy didn’t even read the first novel when scripting the first film! If the film had followed the novel, the main villain in The Bourne Identity would have been Carlos the Jackal, a notorious real life terrorist who murdered at least 11 people. …which meant under-12s could enjoy Matt Damon beating seven bells out of baddies as long they brought a parent with them. If you were one of the kids blessed with Bourne from a young age, you’ve got Spider-Man to thank. Sam Raimi’s adaptation was rated 12, which meant Spidey-loving kids couldn’t go and see it. After an almighty uproar, the BBFC introduced the new certificate just in time for Bourne. Unlike a certain British spy, Jason Bourne doesn’t rely on top secret gadgets to get the job done. Instead, he uses stuff pretty much anyone can buy – although it’s not all that easy to find. To be fair, it’s hard to laugh when loads of people are trying to kill you. The Bourne Ultimatum won 3 Oscars. It won Best Achievement in Film Editing, Best Achievement in Sound Mixing and Best Achievement in Sound Editing. The first two films didn’t receive a single nomination. Yes, really. Despite being Hollywood’s premiere action franchise, there are only 3 major explosions in the original trilogy: once when Bourne blows up a gas tank, another when he blows up a house with a toaster (not a comic accident, sadly) and again when a car blows up. It’s hard to believe now, but pretty much everyone thought The Bourne Identity would be a box office flop. They had good reason too. Bourne had a notoriously difficult production, with 4 rounds of reshoots leading a year long delay. Director Doug Liman fell out with the studio behind Bourne so badly that they banned him from directing any sequels. 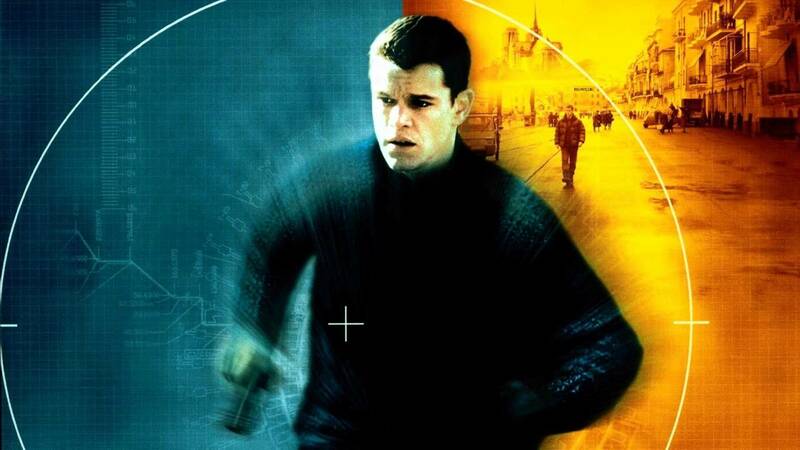 If you want to get your hands on the entire Bourne Collection on Blu-Ray, enter the competition at the top of this post. You can also buy the entire collection on DVD too – just click here to start shopping! *Terms and conditions apply. Please click here to read the full terms and conditions for our Bourne competition.